It is human nature to size others up- make judgments about them based on their actions. In fact, most of us do this without even realizing it. These assumptions, however, can impact more than just an individual. 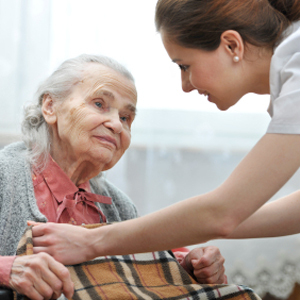 Front-line workers, such as direct caregivers and administrative/business office staff, are often the main face or representative of an agency as they have the most interaction with clients and family. Your actions and interactions with clients and families can have a positive or negative effect on their impression of you as well as that of your agency. This module offers insight and tips to create the best possible professional image while positively representing your organization. This is a self-paced course with optional knowledge check quizzes after each lesson. These non-graded quizzes allow you to check your understanding of the lesson objectives before proceeding to the next lesson. After the final lesson you will be required to take the final exam. You must score 70% or higher to pass the course and obtain a certificate of completion. This course is designed to meet the continuing education requirements of healthcare paraprofessionals, such as homehealth aide, nurses aide and personal care attendants. Washington State Department of Social and Health Services approved this course for CONTINUING EDUCATION PURPOSES for long term care workers. Michelle Purvis, MA, owner of Agility Learning LLC, has over 20 years of experience in the areas of workplace learning and performance. Before starting her own instructional design business, Michelle managed employee learning initiatives at Mayo Clinic for six years. She has previously been published in the Wall Street Business Employment Weekly and Presentations magazine. In 2011, Michelle earned the Certified Professional in Learning and Performance (CPLP) credential from the American Society of Training and Development (ASTD) and has been honored for her work in the field of learning with a Women of Distinction and WDC Outstanding Instructor Awards. Materials used in connection with this course may be subject to copyright protection. Retention of the materials for longer than the class term, unauthorized further dissemination of the materials, or use of copyrighted materials in any way other than intended for this class is prohibited by Copyright and Teach Act laws. This course was developed with Rochester Community and Technical College's Continuing Education and Workforce Development Division located in Rochester Minnesota. Development was funded from the Minnesota State Colleges and Universities System.